Associations for Yeshivas across the religious spectrum join to petition High Court to cancel funding cuts for Torah study. In a rare move, Zionist yeshivas joined forces with their hareidi counterparts Sunday to petition the High Court over the controversial decision to cut yeshiva funding by Finance Minister Yair Lapid. Lapid's decision to cut funding came following a High Court ruling last week stating that the government should stop funding yeshivas with 18-20 year-old students who received draft calls and did not enlist. The move sparked fury from the hareidi community, prompting a dramatic protest in Jerusalem and an act of arson in Ashdod on Thursday. "The judges did not hear the voices of the people in their decision," Attorney Betzalel Smotrich, legal counsel for the joint effort, stated Sunday. "The factors and implications behind the move did not take the people into account. This is in stark contrast to all of the halakhot (Jewish laws) and all principles of justice." "Hundreds of institutions and thousands of students are bound by a harsh decision which affects them directly, yet they were not party to the proceedings before the decision was made - even though there was nothing preventing the court from allowing them to be present." The Association of Zionist Yeshivas, the Association of Yeshiva Administration and Torah Institutions, and the Association of Hesder Yeshivas are behind the new motion, which asks the High Court to reconsider the decision to stop funding of studies for students born in 1994, 1995, and the first half of 1996. The three associations have asked that last week's decision be cancelled and that the funding already cut for February as a result be reinstated and transferred to the appropriate institutions. Only then, the petition claims, can the proceedings for the decision begin anew - this time, with the affected parties involved in the decision-making process. The petition revealed that the ruling also significantly harmed Zionist yeshivas, where the majority of students do participate in the mandatory IDF draft. In addition, all students are affected at the moment, and not just those born in the specified years. The motion accuses the High Court of rushing a sensitive and complex issue. 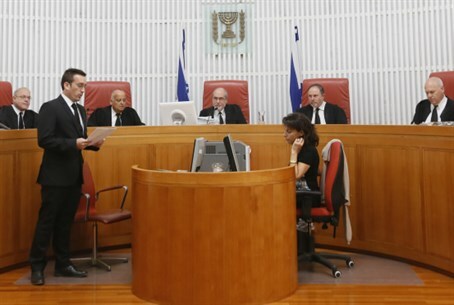 The bill that is known as the Equal Burden of Service law, has been moving through the Knesset for several months - but the court decision failed to take into account the many complexities and ramifications involved. The petitioners question why the decision was made in haste, instead of letting the Knesset committees finish the process.